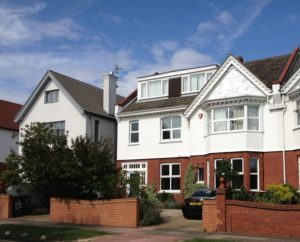 Hillfields Therapeutic Children’s Home was opened in April 2015 and is designed to provide secondary care provision through comprehensive individual assessments of needs, emotional treatment programmes, and pathway plans leading to independent living. Like its sister home Westfields, Hillfields is available for those young people who have experienced break down in their own family, considerable disruptions to their lives, whose needs have not been met in alternative care settings. It is specifically geared to young people who require a slightly less structured and ordered home environment than that of Springfields, who benefit from living with an older peer group, but need ongoing therapeutic support and practical ‘firm but fair’ guidance to move towards adulthood and independent living (or fostering where this is achievable and appropriate). Hillfields is located on the northern side of the city centre in a popular district of the city. The locality comprises predominantly larger and high value houses set within good sized plots. This is one of the most high value residential districts in the city. A popular shopping and cultural district lies just over half a mile to the south, and the city centre and seafront are 1.25 miles south. A mainline railway station is conveniently accessible and the A27 and A23 are also easily accessible by road. Hillfields is located within the catchment areas of several secondary main-stream schools, colleges, and the nearby Universities of Sussex and Brighton. The house presents as a good sized semi-detached Edwardian house dating from around 1910 and of traditional appearance and construction methods for the period. The front elevation is rendered at first floor level. The roof space has been converted into living accommodation through timber framed dormers in the front and rear roof slopes (see SWS Roofing for detailed information about slopes amd more). PVCU double glazed replacement windows are in place and there are 2 pairs of PVCU double glazed patio doors to the rear. Theses lead on to a moderately sized walled rear garden which is predominantly laid to lawn, with a patio area. There is a semi-detached single garage accessed from the adjacent road, and a front parking area with an in/out driveway and parking for 2–3 cars surrounded by boarders filled with mature shrubs and trees. It has five single bedrooms of varying sizes to suit the individual needs of the five young people living at Hillfields. There is also a large and spacious entrance hall that is used as a relaxed area for those living anmd working in the home to meet, sleeping-in room for the adults, managers’ office, an adult’s study / work area, a main lounge, a very large kitchen with laundry facilities and that also includes the main dining area, a modern bathroom, a modern shower room, storage areas, meetings room / dedicated study area for the young people, and off course numerous communal toilets! We believe Hillfields offers young people an exceptional quality of care and provides them with the type of experience every young person deserves. Working closely with the child’s placing authority and social worker and other professionals through regular Permanency Planning meetings (scheduled for every 2 months) for the purpose of monitoring and promoting progress towards a positive transition from Hillfields (either to a foster placement or interdependent living). Assisting and supporting the child, their social worker, and their placing authority in determining the right foster carers able to meet the child’s needs, or the right semi-independence accommodation and provision that allows the young adult to continue to grow and flourish and achieve. Planned & effective support through transitions and beyond, including provision of an 18+ Supported Accommodation programme through The Lioncare Group. Being and remaining a ‘Secure Base’ for the child / young adult long after they have left Hillfields, for those times when they might be in need of a little support, advise, or simply need the comfort and reassurance of a familiar and friendly face.